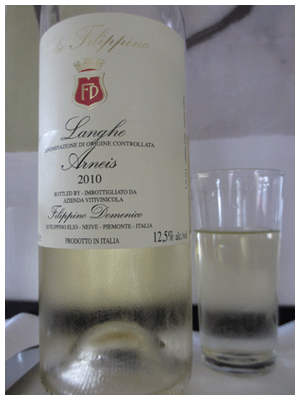 Pinot Grigio is the generic Italian white but have you tried some of the wonderful regional whites, such as Arneis from Piedmont? The one I’m recommending delivers freshness, subtle flavours and an elegant, poised feeling. Wonderful aperitif for a fancy meal in how it sets the tone without attracting attention to itself – the wine equivalent of fine linen. There is some body to partner the freshness, so it’s ideal for fish, meat or savoury/pastry dishes. My Fave Local Summer White on Sale! Thank you! Merci! Corrected now.